Beautiful Colonial Revival Bungalow set in Historic Spaulding Square. This stately home has been beautifully preserved to its original glory with modern conveniences. 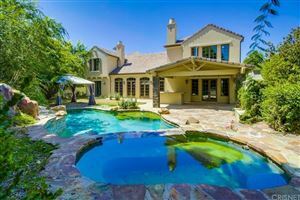 A brand new Pool and Jacuzzi in the backyard make this home one of a kind in a superb neighborhood. There are 3 bedrooms and 3 full bathrooms. There is also a guest house with a full bathroom and kitchen appliances. All the bedrooms are spacious with full bathrooms. We respect your online privacy and will never spam you. By submitting this form with your telephone number you are consenting for Luis Pezzini to contact you even if your name is on a Federal or State "Do not call List". Based on information from CARETS as of 4/21/19 7:39 AM PDT. The information being provided by CARETS is for the visitor's personal, noncommercial use and may not be used for any purpose other than to identify prospective properties visitor may be interested in purchasing. The data contained herein is copyrighted by CARETS, CLAW, CRISNet MLS, i-Tech MLS, PSRMLS and/or VCRDS and is protected by all applicable copyright laws. Any dissemination of this information is in violation of copyright laws and is strictly prohibited.